Are you a cilantro devotee? (Probably, since you are visiting this product page!) We love it too! Cilantro’s distinct flavor and aroma make it one of the most polarizing herbs out there. For those that love it, like us, could eat it on just about anything! With it’s sweet, citrus-like aroma and taste, perhaps no other herb defines Mexican cooking like Cilantro. 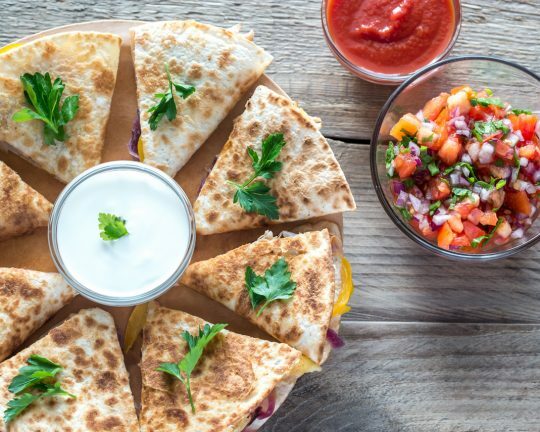 It can easily remind you of a beach vacation where you are enjoying salsa and chips while sipping on a cilantro lime margarita with your toes in the sand. Chop and toss in this fragrant and summery freshness to rev up your rice or enhance your enchiladas! Oh and don’t neglect the stems, unlike other herbs, they are flavorful, tender and totally edible. Are you a crazy cilantro hater? Did you know there is chemical reason that some folks think that it takes like soap? It’s actually genetics— cilantro haters share a group of olfactory-receptor genes called OR6A2, that pick up on the smell of aldehyde chemicals in the leaves. Aldehyde chemicals are found in both cilantro and soap. So if this is you—know that you have our sympathy! 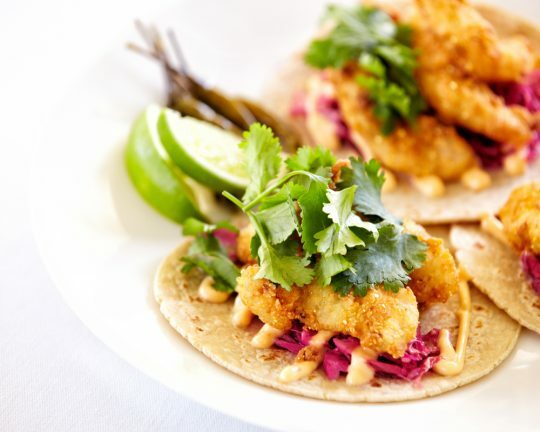 You are missing out on some great salsa, guacamole, Mexican food, Thai food… the list is endless! Sold at the peak of freshness. 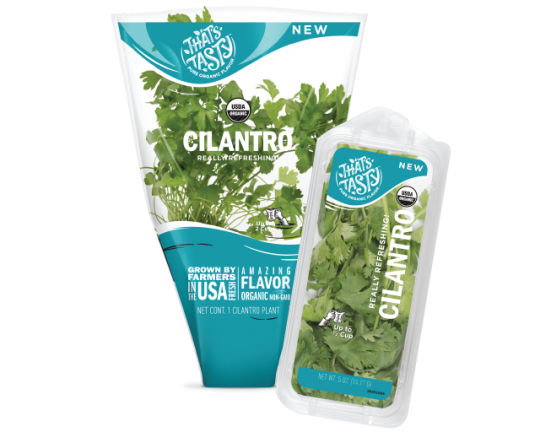 Our cilantro is grown and sold to be used right away for the best flavor. No self-respecting Mexican dish is complete without chopped cilantro. Period. Triple the amount you would use for dry herbs and add just before serving. Cilantro is happiest inside its package, hanging out in your refrigerator drawer. Add more green to your smoothie. Spinach + lime + cilantro = lots of good-for-you greens, and with so much extra flavor. Make a quick cilantro chimichurri sauce and keep in the fridge to add to burgers and steak meals throughout the week.